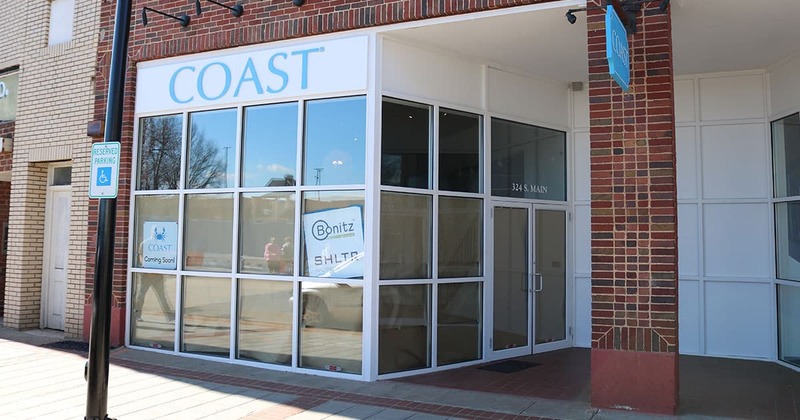 COAST Apparel has opened it’s new flagship store on main street just down the street from the Peace Center. They currently have a store at the very end of Augusta road near Pickwick Pharmacy, no word yet on whether that location will close once this new store is open, but we’d imagine they probably will. The clothing is designed around southern college campuses for guys that have common likes, such as hunting, fishing, bars, football, basketball, road trips, fraternity parties and a date on the town. GREENVILLE, S.C., Aug. 30, 2016 (GLOBE NEWSWIRE) — Delta Apparel, Inc. (NYSE MKT:DLA) today announced that it has acquired substantially all of the assets of COAST Apparel. The COAST Apparel brand integrates the coastal experience of weekends and summers at the beach with everyday life throughout the year. Beginning with just a men’s polo shirt, COAST Apparel has since expanded into a full line of traditional, sports-casual attire, headwear and accessories. COAST Apparel primarily markets direct-to-consumer through two retail stores, located in Greenville, South Carolina and Pawley’s Island, South Carolina, and via its ecommerce site at www.coastapparel.com, and can also be found at select independent retailers. Read the Full Press Release from Delta Apparel.